Awesome entrepreneurs Beth – Ha! I hope you claimed your family discount. Fabulous strategy – minimize your fixed assets – just a basic table (painted an eye-catching red) that works for all applications – and make all else variable, even the signage, in order to best leverage the product or service being promoted today. That allows a flexibility that enables the business to turn on a dime and take advantage of any short term opportunities. I really like the magic show because it takes supplies that are available in most homes and uses the human brain to provide the added value that makes the product salable and unique. That establishes an automatic barrier to entry for any competition. If more North American businesses quit bitching about what they don’t have (i.e. cheap labor, no benefit costs, proximity to raw materials,etc) and instead leveraged what they DO have – i.e. ingenuity, management experience, organizational skills, insight into new applications and uses. etc – they would be much more successful. Excellent post and give my admiration to the grandies Beth – well done! I bet, let’s see what happens next. . . 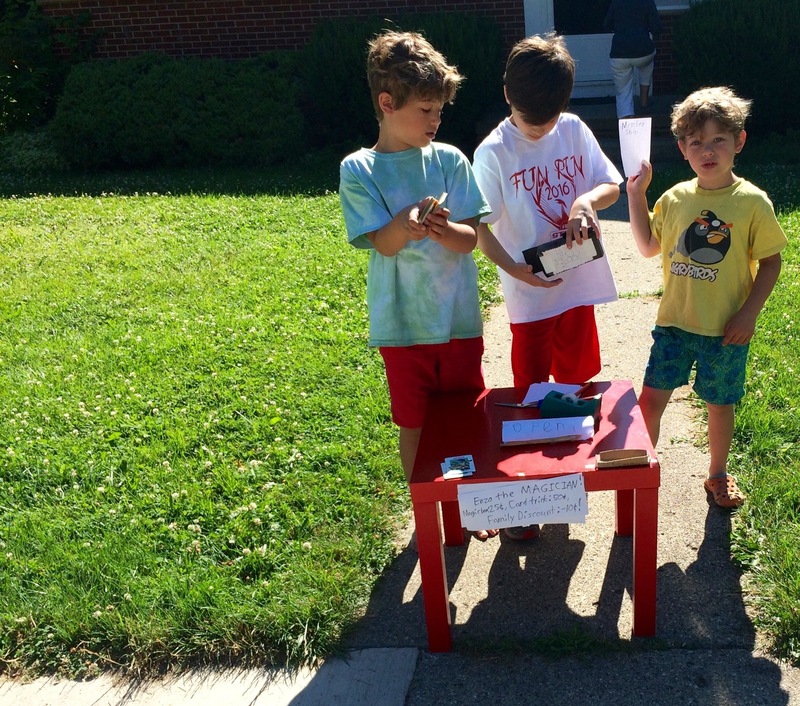 If they grow up to be entrepreneurs I wonder if they’ll count this as their start? They appear to be full of entrepreneurial spirit. May it serve them, their loved ones, and the world well. ah, those were the days and these are the days, too!